Growing up, the words finance, savings, and portfolio made my guest’s eyes glaze over, and the thought of stocks and financial statements shut down her brain. The daughter of a successful investor and bestselling financial author, she spent most of her adult life avoiding investing – until she realized that her time-consuming career as lawyer was making her feel anything but in control of her life or her money. 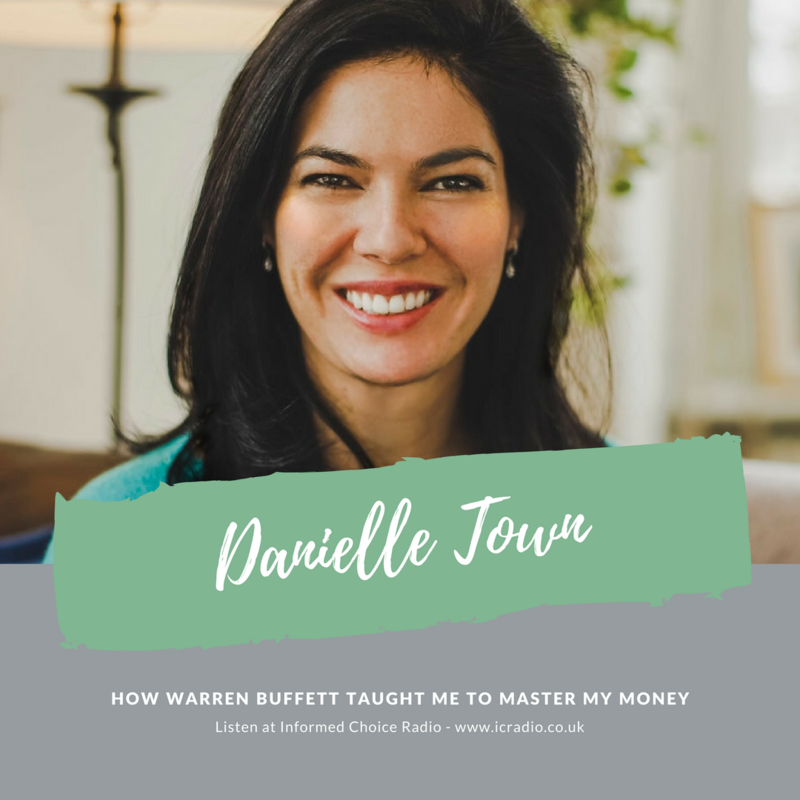 Determined to regain her freedom, vote for her values with her money, and deal with her fear of the unpredictable stock market, she turned to her father, to help her take charge of her life and her future through Warren Buffett-style value investing. Over the course of a year, my guest went from avoiding everything to do with the financial industrial complex to knowing exactly how and when to invest in wonderful companies. Danielle Town is a corporate startup attorney with a law degree from New York University. Here’s my conversation with Danielle Town, author of Invested, in episode 323 of Informed Choice Radio. Martin: Well, welcome back to Informed Choice Radio. I’m delighted to welcome Danielle Town. Danielle is author of a brilliant new book, and we’re here to talk about that today. It’s called Invested. Danielle, could you start maybe by introducing yourself, and telling us a little bit about you, about your background? I mean, I loved my work. I just wanted to find something else that would help me, and my dad is an investor. He’s done investing, and speaking about investing, and he’s written two books about investing. And yet, I had never really talked to him much about investing. And I was kind of at this point of, I desperately need help. I did not want to speak to him about it, but I finally just got desperate enough to turn to him and say, “What else can I do?” And he said, “Of course.” And I knew he would say this, he said, “You have to learn to invest.” I didn’t want to do that at all. Martin: It’s a bit like swimming in the middle of a river, isn’t it? If you stop, you go backwards and then you have to swim at a certain rate to keep up with the pace. Danielle: Yeah. Exactly, exactly. You have to continue. You have to make enough just to keep up, and I didn’t realise that. I don’t know if everybody else realises that, but I certainly did not. So, that was a huge piece of information that changed everything for me. Martin: And you’ve mentioned your dad, is Phil, his investment wisdom, and you now co-host a podcast with your dad. How did that come about? Danielle: We do. 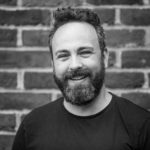 We started our podcast initially right after I first started talking to him about investing. And, quite frankly, it was a selfish, personal decision because I didn’t really want to do this stuff. And I figured if we had a podcast about it, that other people were following along with, then I would have some good peer pressure around me to continue, and to actually have a formalised discussion with him. It kind of became this amazing safe space for me, where I could talk to him about investing. We also talked a lot about life stuff in general, because money stuff is so wrapped up in life, and emotions, and relationships. So, we just talk about it all there. It’s called Invested, same name as the book. And, it’s been a really fun journey for us, to go … I mean, it’s all recorded. So you can go from the very beginning and hear me asking the most basic questions. And I just ask him anything I want, every question that comes to mind, and I force him to answer them. Which is pretty cool, because usually you have to pay somebody. You have to pay a financial advisor to get those kinds of answers. Or, you’re getting them from somebody who may not know so much about … A friend, or something, somebody who may not know so much about what they’re talking about. It’s so nice to get this opportunity to talk to somebody who really cares about whether or not I do well in this investing thing, and who I can kind of force to give me the answers that I need. It’s been really fun, and we’ve heard from a number of people who have actually gone back to the beginning of the podcast, and listened to the whole thing, all the episodes, all the way through. And then gone and listened to them again. Because there’s so much information packed in there. Yeah, it’s pretty amazing. And that’s why we wrote our book, Invested. Because our listeners, quite quickly actually, after we started the podcast, kept asking me for more information. For really like a manual to follow along with. Because, as you know, podcasts are so great for entertainment and easy listening, but when you’re really talking about math stuff, and financial statements, it’s very helpful to have it written down. So, that was the genesis of our book as well. Martin: Well, I was going to ask about that, about the inspiration for the book. So, you had the podcast series, you were getting great feedback, and you need to write to down I guess. Get it down on paper in a different format. So, how did you approach that? How did you think? What subjects do I want to cover? How am I going to present those subjects? Danielle: I thought a lot about what I would want. What I wanted for myself. Because I am just figuring this out along with everybody else. The reason I wrote the book, is that I didn’t have a guide like this to turn to. So, I thought first of all, I want to make it a really fun, interesting, cool read. Because, in my experience there are not many business or investing books that are fun reads. They tend to be pretty dry and straight forward. So I wanted to make it a story that was like something you could read on the beach and enjoy. And so that’s how it’s kind of become an investing memoir of one year of my life, divided into 12 months, 12 chapters. And each chapter has a focus, which I call my investing practise. And it goes through this story of this year in my life learning to invest. By the end of the book, you will know how to invest on your own. It absolutely gives you every piece of information you need, and references, and it’s all there. And, it’s fun, it’s entertaining, and it goes a lot into all the stuff I went through. All the ups and downs. I want people to know that it’s okay to not know what you’re doing. It’s okay to ask questions. It’s okay to go through scary moments of fear. I mean, I freaked out the first time I bought shares, and I put it all in the book. Martin: And the starting point for all of this, of course, was your dad’s investment knowledge. Which was probably years, decades of investing knowledge. How did you go about condensing all of that, and identifying the most relevant, the most important parts of it. Danielle: That’s a great question. He does have, I think, 35 years of investing experience behind him. And, it’s a lot. What we did, initially … We talked about that right before we started the podcast. How do you even get into this stuff? And what he did was so brilliant. He turned to his teachers, Warren Buffet and Charlie Munger, who I see as the gurus of investing on your own. Doing value investing the way they do it, and the way they’ve been so successful at it. And he turned to this interview that Charlie Munger did with the BBC in 2012, which is on YouTube. You can find it. And there’s one minute in there, where Charlie Munger gives his four principles of investing. It’s just this little 60 second nugget, and he lays out these four principles, and we took them, and we rolled with them on the podcast for, I don’t know, a year and a half. I mean, we’re still talking about them all the time. So that’s what informed the book as well. The book follows Charlie’s four principles of investing. The four principles of investing are, first, you have to be capable of understanding the company. Which I think is such a beautiful principle. Because he doesn’t say you have to understand it right now. He’s saying just check out a company you’re interested in, see if it’s something you could understand if you researched it more, and make sure it’s something that you’re really going to enjoy getting into. The second one is, make sure that the company has a competitive advantage. We call this a moat. Like the moat around a castle. So we want the company to be hard to breach in competition. It has to be intrinsic and durable, Charlie says. And there are some ways to figure that out that I learned from my dad, which we’ve put into our book. The third one is that we would like to have … I like that Charlie says that. We would like to have management with talent and integrity. Now, he says we would like to have that, rather than it being a requirement, because he has also said many times that we have to make sure we choose companies that can withstand humans screwing them up, essentially. I mean, at some point there might be some bad CEO who shows up and kind of drives the company into the ground. We’ve got to make sure it’s a company that can withstand that and come back from it within a few years. And I love that Charlie and Warren just assume that that’s going to happen at some point. So, we’ve got to assume it too. And then, once you’ve found a company with those three qualities, the fourth one from Charlie is that you then buy it at a sensible price. And, what that means, is that it’s a price below its actual real value. And then, you also add in a margin of safety on that price. Because, I’m not the world’s greatest genius at this, I will probably screw it up a little bit, and I will probably time it wrong, because I have no clue how to time the market. So, I’ve just removed all that stress. Or, really Charlie has removed all that stress from me. I’m just going to assume that I’ll buy it a little too high, and he adds in the margin of safety there on the price so that even if I do that I’m still protected, and the company should still go up. Then finally, I’ve added my own fifth principle to Charlie’s, which is mission. Which is finding companies that are doing things I want to support in the world. Martin: Okay. So this is still looking for social responsibility and a good practise in that respect. Danielle: It is, exactly. Yeah. And the important thing to me is there’s all this talk of socially responsible companies. About consciously capitalist companies, which is so good that it’s out there, and people are really paying attention to that now in the public markets. We’ve been talking about it for a long time with our own consumer money. You know, you go to the grocery store, I personally like to buy organic food if I can. I like to support local businesses if I can. So, that’s kind of been in the zeitgeist for a while, but nobody’s really been putting it into the public markets as much, until lately. And I think it’s so good that it’s out there. What I think is so great about being able to invest on your own, is that my values are probably different from your values, and they’re probably different from my dad’s values, and this way I can choose exactly what’s important to me. And put that money into companies in the market, voting with my money for these companies. If we all did that, we could actually change this market. I mean, it’s extraordinary. We as small investors control a huge amount of money in the global markets, but we’ve abdicated responsibility for that money to other people. We pay other people to invest it for us, most of the time. If we took that power back, and actually voted our own money in the markets, the companies that we took that money out of would either change quite quickly, or they would go away. And it could happen within a year or two. I mean, it would be extraordinary. I’m doing my part, I’m voting with my money, and I hope other people will start to vote with theirs as well. Martin: So, taking Charlie Munger’s four principles, adding your fifth principle in of mission, how do you in more practical terms look at the market, look at the companies available in which you could invest? And filter them down and make decisions about which ones to go for? Danielle: I start with exactly where I’m putting my money today. Where am I putting my consumer money? What groceries am I buying, what stores am I using? What car do I own? What travel do I choose? Where am I putting my money? And, are those companies actually something I want to be supporting? Then you can also look at the news generally, at larger things. A lot of people now are thinking about gun control, for example, in the US. A lot of people are thinking about pollution. A lot of people are thinking about animal rights. So, what general values do you hold dear where you can actually now, instead of just hearing about it maybe supporting it in a different way, you can actually use your money to change companies that are supporting or not supporting those values? Martin: We started this conversation talking about a fairly basic principle, that of price inflation eroding the buying power of cash savings. How much basic information do you think people, and basic knowledge do you think investors need, before they get started, and before they put their first dollar, their first pound into the investment market? Danielle: Well, when I started, my dad told me I wasn’t allowed to do anything as far as actually moving money for an entire year. He wanted me to practise for an entire year. I didn’t actually end up doing that, I jumped the gun a little bit with his permission. But, it’s a really good principle because there’s a lot to learn, and there’s a lot of just straightforward practising . Getting used to it. Trying something out on paper, and seeing how you feel about it. There’s so much pure learning that needs to happen over time. So, I would say, “There’s no pressure.” This is a great time to practise right now. As the market’s sort of going all over the place, nobody’s really sure what to do. We’re waiting. So, this is such a good time to learn, practise, see how you’re doing with it, and then get your confidence up so that when it’s time to buy, you’re ready. Martin: In terms of practising , would you suggest putting together a fictional portfolio of stocks and tracking how they perform? Sort of understanding how you’d make certain decisions? Danielle: Yeah. I did that, and I think for long term investing, it’s not super useful. Because it takes so many years to see what happens to things. So, if you’re going to spend 10 years practising before you do anything, then yes, that would be a good way to go. But, I did do it and I found it useful just in terms of putting my stamp on a company and saying, “Here’s the company I want to buy,” and seeing how that made me feel. The other thing that I did to specifically practise buying shares, is I practised buying shares. I actually went and bought just a small amount of shares, just to see how it worked. And what it felt like to be an owner. And it was this crazy experience that I detail in the book, because I felt so many things that I wasn’t expecting. And then the other part of practise is really what I do now, to this day, is just continuing to follow the news on companies. Follow the news generally. Follow the changes in any companies that I’m really interested in, and it really doesn’t take too much time. I mean, I’d say I check the news in the mornings, and then on the weekends I do a little bit further research if I have time. That’s the practise of it. It’s just sort of staying up on it, continuing with what’s happening in the world. What’s happening in any companies I’m interested in. And making it really a part of my life rather than some additional thing I have to add. Martin: And when you got started, when you first started investing money, were there any aspects of that investing process made you feel uncomfortable? Or you weren’t very happy with? You mentioned a moment ago how stock markets are a bit all over the place at the moment. Was that volatility and that unpredictability something that you were particularly concerned about? Danielle: I was freaked out about all of it Martin. It was like the scariest thing ever. And yes, the market moving around was the number one thing. Because I just, I felt that I had no knowledge about anything. And I think so many of us feel like that, because we don’t get financial education in school. Most of us. I certainly didn’t. So, I was sitting there going, “I just don’t understand why any of this stuff is happening. Where do I even start?” And, the whole thing was scary. I started with generally first learning Charlie’s four principles. Diving into those, looking up the companies that I was interested in. And just starting to read the news. And really, after a while … And this is why I recommend the practise so much. After a while, it sort of starts to fall into place. I see it as learning a new language. I did not speak the language of financial markets or numbers. I’ve had to learn that language a little bit. Just like learning German, learning French. You get to the point where you can kind of get around. And that’s what we’re trying to get to. We want to be able to get around. Eventually I hope to be fluent. I’m certainly not yet. But, it’s just about trying it out, being willing to make mistakes. Put yourself in a situation where you can screw it up, and it’s not going to hurt you. And there’s many ways to do that. Martin: But you think that within the space of about a year you can become almost conversational in some respects in this investing language? Danielle: I do think that, because I did it in about a year. Martin: Danielle, it’s been lovely to chat to you. Before we finish up, where can we connect with you online, find out more about you, and listen to your podcast? And more importantly, where can we get a hold of a copy of your book? Danielle: Oh, wonderful. Thank you so much. The book is in book stores everywhere, it’s on amazon.com. 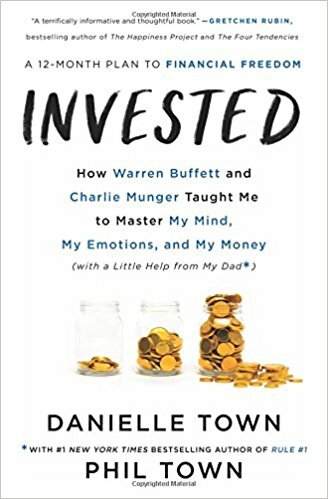 It’s called Invested: How Warren Buffett and Charlie Munger Taught Me to Master My Mind, My Emotions, and My Money (with a Little Help from My Dad). And our podcast is called the InvestED podcast, and you can find it at investedpodcast.com, on iTunes, on Stitch, anywhere you get your podcasts. And then, you can check me out on social media @Danielle Town. And my website, which has these links to all these things, is danielletown.com. Martin: Fantastic. We’ll make sure we put links in our show notes as well so people can find the podcast, they can find the book, and your website. But, it’s been lovely to chat. Thank you so much for your time. Danielle: Thank you very much. I appreciate it.